My first anxiety dreams came to me within a couple of weeks of starting my career on a trading floor and were about an almost laughably trivial worry – whether I could operate the bank’s pricing software. It was 1990, I was at Merrill Lynch and, fresh out of business school, my job as a junior options trader in the bank’s Foreign Exchange (FX) trading team meant making prices using a tool called FENICS. Replete with knowledge gleaned from business school finance classes, I understood what I was doing but the physical task of typing in the pricing parameters was rather tricky: I was often doing so one-handed (while cradling a phone with the other), and always under time pressure in a ringing cacophony of noise. My dreams took an increasingly familiar pattern: I had an important price to make; the market was moving but I simply couldn’t type the numbers into the right places on the screen; the client’s sales contact was shouting at me to hurry up with increasing urgency and volume. Then I’d wake up with a sudden start in the darkness. Within a couple of months, happy to say, operating FENICS became as ingrained in me and as automatic as shifting gears in a car – an activity almost below the level of consciousness. Other worries came as replacements, though. In particular, the constant stress of managing the risk of a trading position. A new type of dream became a regular: I needed to sell a lot of US dollars in a falling market but my shouted orders to the spot trader were not being heard. Each ignored shout was costing more and more money. I’d yell to no avail, then I’d be awake, sweating in the dark again. My worries were not all subconscious. It is difficult to describe to anyone who has not experienced trading what it feels like to be in charge of a losing position. Each glance at the screen brings a new stab of mental pain as the little green numbers flicker and shift against you. Given that losing money would not have put me in any physical peril, the anguish was purely psychic – it felt (especially early in my career) like a mark of social failure to lose. Added to this was the very real worry of being fired. Jobs in trading were (and to a lesser extent, still are) notoriously precarious and a sustained losing streak could mean termination. It’s probably not surprising that I felt the tension directly in my body: churning stomach; sweaty palms; racing heartbeat. The effects of winning were, if anything, even more profound. Late in my career a very large option I had bought suddenly made a lot of money just after I had come home from work. I found myself trading from my bedroom using my mobile phone to call New York; I could almost feel the icy surge of adrenaline in my bloodstream. On a whim, when I had put the phone down, I decided to play a few rounds of the game Fruit Ninja on my iPad. The game, which requires dexterity and sharp reactions, suddenly seemed trivially easy. I felt like Neo fighting off Agent Smith at the end of The Matrix; time slowed down. I got three or four scores that were hugely higher than any I’d recorded before or I’ve managed since. It took an effort of will to stop myself calling New York to redouble my bet. It was easy for me to see how the term ‘Adrenaline Junkie’ came about. Thus, a lot of the skills I gradually developed as a trader were attempts to negate these powerful chemical forces. I would write down my trade ideas in a diary I kept at my side at all times and would constantly check if my assumptions were still true. I would leave orders (so-called ‘stop loss’ orders) with the spot desk to unwind my positions if they lost more than a certain amount – always with strict instructions that they should execute the orders come what may. Like a trading floor version of Ulysses tied to his ship’s mast, this would force me to ignore any internal Siren cries of ‘double up’ as I was losing. But what really reduced the stress was simply the passage of time. Every additional month or year created a longer track record. Losing $100,000 in my first few months would have seemed disastrous; years later with tens, then hundreds of millions of dollars of cumulative trading revenue against my name it was of little concern. I began to focus on procedure and became increasingly convinced that occasionally losing money in a well thought out and disciplined way was, in the long term, in many respects a better outcome than a few fluke, seat-of-the-pants wins. Over time, I decided, good process would win out. With experience came more responsibility and, as a trading desk boss, answerable for the performance of other, more junior employees, ‘process and discipline’ was my constant mantra, shouted fervently from the touchline, as it were, like the ravings of an irascible, grey-haired football manager. It was probably natural, given this obsession with procedure, that, from the late 1990s onwards, I became a strong advocate of automated trading. What better to execute a plan unemotionally than a computer? What stronger guarantee of ‘process and discipline’? I was not alone in my view. Decades of exponential increase in computer power per unit cost now made it possible to mimic a trader. Besides, there were other obvious advantages. As a managerial colleague once joked when the intense annual arguments over employee compensation extended into a second painful day, “The great thing about computers is that they are never disappointed with their bonuses”. Emotion was not banished, but the steady and seemingly inexorable rise of computerized trading shifted the organisational level at which emotion’s effects operate. In simple products (like cash equities or spot FX – both gigantic markets) the second-by-second, day-by-day tasks of price making are now almost entirely handled by computers. At my last employer, Deutsche Bank, more than 80% of spot flow is now automated. But risk has not vanished – the decisions of how much of it to accumulate and when to offset it must still be taken and humans are ultimately responsible; after all, computers do not programme themselves. But these days there are fewer humans in charge since computers need a smaller number of handlers than the folk who once made up the army of human traders that computers replaced. Also, the effect of computerization has been to increase market concentration – not all banks can afford the huge financial down payment needed to automate. Thus, the responsibility for the functioning and safety of a number of important markets is increasingly concentrated in a small number of hands. How do these people handle emotion? How do they cope? What fears haunt their anxiety dreams? The answer to these questions will determine the fragility or stability of financial markets both now and long into the future. 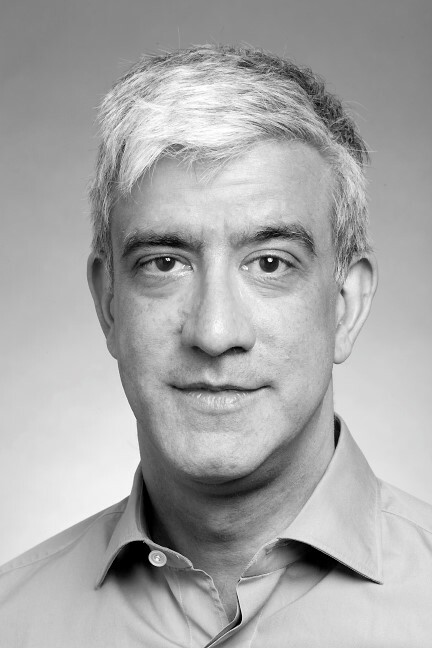 Kevin Rodgers started his career as a trader with Merrill Lynch before joining another American bank, Bankers Trust. From there he went on to work as a managing director of Deutsche Bank for 15 years and latterly as global head of foreign exchange. His book, “Why Aren’t They Shouting? 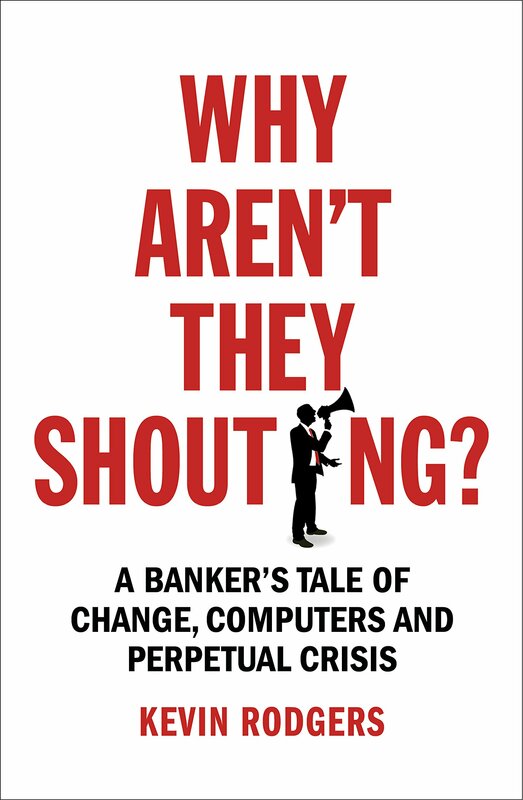 : A Banker’s Tale of Change, Computers and Perpetual Crisis”, published by Penguin Random House, will be released on July 14 2016. It will be available from all good bookshops and can be pre-ordered from Amazon. I’ve seen this guy speak at an Instiuitonal Trading Conference – he was very good and provided some great insight into how floors worked then, and now. Also that the lack of experience on floors these days will invariably lead to more flash crashes in the future. Nice to see him focussing on process and discipline.